West Lafayette, Ind. — They’ve long been established in their careers. Some are wealthy. Others not so much. Some are looking to make a career leap – or change. Others retired. For them, the learning never stops. Nor do they want it to. That’s one reason online learning is taking off across the country for adults of all ages, of all trades, professions and demographics. As more universities create online learning programs, Purdue University’s College of Engineering is offering a pilot program for alumni. In September, the college introduced its One Course Higher program. It is free and available for life to the engineering alumni across Purdue campuses. The online courses are non-credit. Course material is available by videotaped class sessions on the main campus that students are taking for credit. 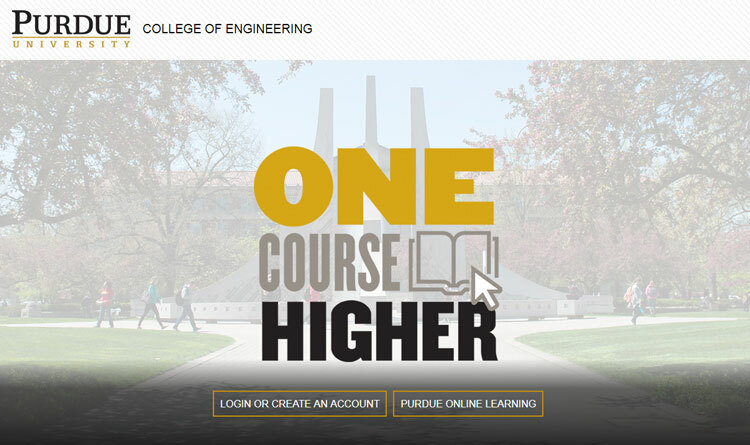 More information about One Course Higher is available at https://engineering.purdue.edu/Engr/one-course-higher.